It was seven years ago when sitting on my computer in New Delhi I was trying to decide whether I wanted to go for my Master’s to a University in Copenhagen, Zurich, Stockholm, Paris, …. . Of course the rankings mattered, the scholarships mattered but also my fear of the unknown mattered. Here I was in India having never ventured out of the country trying to decide where to spend the next two years of my life. And this is where I came across the blog of a student (which I cannot dig up despite trying for 5 long minutes) who used to narrate her experiences in Copenhagen infrequently. While there was no dearth of organized blogging advertising for Copenhagen, the self-motivated nature of the blog was endearing and real. It was my first connect with the city which I was going to call home for the next six years of my life. It was my first brush with Danish naivete, Danish hygge, the student life, the parks, the sea, the weather. It was my first date with Denmark from the eyes of another narrator. The student blog was hosted on a blogging infrastructure which was part of an initiative from the Humanities department at the University of Copenhagen called KU student blogs which used to be hosted here (the link might be broken now). This service encouraged students to create a blog and to write what their heart desired. One of the best features was the blog feed so you could read in one place all the content from different KU blogs. It was a great window into the lives of other people without all the glam of social media. It was great for old-school, boring people like me. I blogged here (maybe a broken link) for five long years infrequently which kept the world was sane. And then the storm clouds gathered. The KU student blogs became a platform to allow KU affiliated individuals to create websites and it was not a purely student blogging infrastructure anymore. It became a website creation tool which meant the feed feature was not desirable since depending on the reader, the feed contained a lot of uninteresting information. At this point the feed was taken off and KU blogs was rebranded as KU sites. While I have nothing against website creation infrastructure, better thought could have been given to its management to keep the student blogging feeds intact. Since the blog feed feature was gone and KU site service was hosted using WordPress and I already had a free account on wordpress.com, I moved all my content to it. KU blogs also had a questionable security policy in its integration with the KU one identity authentication systems. The KU blog password was a special rewrite of the KU password (I am not going to detail it here) to account for incompatible password policies across systems which hastened my decision to move. Overall, a dedicated student blog system with a blog feed feature to read about student experiences is an invaluable tool both for local and international students. Its something worth preserving and I wish it had been so. Thank you KU blogs for all the initiative and the help and for encouraging me to come and live in Denmark. Hopefully, you revive the initiative again. With the growth of internet web services and mobile apps, password management has become a real issue that a user should be concerned about. This has especially become so since now we are consumers of a lot of web services where the very first step is to create an user account which hopefully no one else can log into. What password should I pick for which website ? How should I store/retrieve my passwords ? There are some solutions to tackle this problem. Easy to remember even with growing number of websites. Use your brain only and do it efficiently (there’s just one). Choose a methodology that can be easily remembered for generating password for different websites. For e.g., add 007 after the website url. No single point of security risk, the methodology needs to be discovered by someone trying to attack you. Use your brain only. Remember depending on how complicated the steps of the methodology are, efficiency of the password computation can vary. The security risk depends on the sophistication of the methodology. The manual process of computing the password limits the methodology or else trades off with the computation time. You don’t want to sit down with a pain and paper to compute your password :-). Use a password manager. There are lots of them out there. Managing passwords is not your problem. Can pick very strong passwords. A browser comes with the simplest password manager since it saves your password if you want it to. A word of caution here, always use a master password for your browser to manage your password so that no one else can view your saved passwords without entering the master password. You also want the passwords to be saved on your computer in an encrypted file so that others cannot read it which any decent password manager would do. 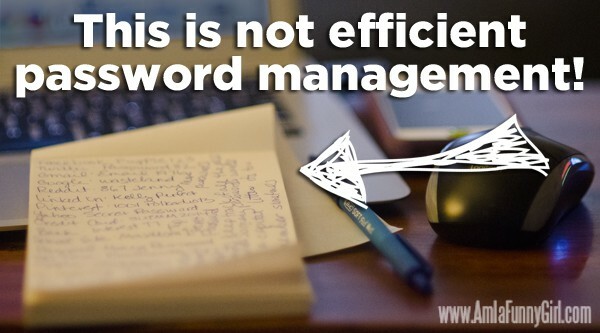 There are lots of password management tools out there. Use them. Generate a strong password if your password manager does not support password generation. Here are some ways to do it on Linux/MacOS or Windows. A password manager can also backup your saved passwords in the cloud to save you from machine failures. Preferably choose one which does that. Never compromise on encryption. The cloud is less trusted than your computer. If you still think you do not need a password manager, read this. Now that I am done sermonizing, looking back I used to do password management by hand by saving my passwords in a file and then encrypting them using a GPG key and storing them on git server. And then I stumbled up Pass. It does the same things but better. Try it if you a power user or just want to know how the infrastructure works without doing all of it :-). This is not smart. Get smarter !! Should I save the internet ? Saving “anything” sounds like superhero stuff, saving the internet sounds like saving the planet, but what is it really about. In India, this movement is underway currently following in the footsteps of similar movements in the US since the Government has asked for a public response on the issue prior to its stand on the matter. Of late, net neutrality has become a key word in the internet activist community. On a very high level, think about the internet as a collection of wires connecting different computers through which data packets flow around, then net neutrality means that all data packets irrespective of what they represent (an image/video/a chat message/…) and all computers which are receiving and sending these data packets will be treated equally i.e., there will be no discrimination based on the nature of the data packet and the sending and receiving computer for transferring the data packets. This is the broad sweeping definition of net neutrality. It owes its origin to the origin of telegraph where a similar interpretation required that all messages irrespective of its content and the sender/receiver must be treated equally. Do I really want net neutrality ? That depends on your ideals. 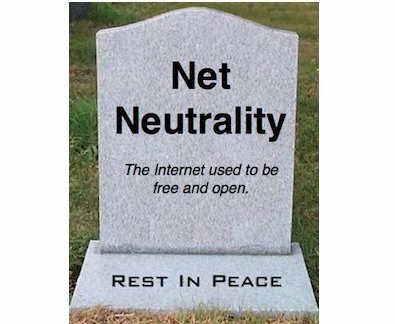 In an ideal setting if you had wires which could carry an infinite (any amount) of data packets at the same time, then ideal net neutrality would be a goal worth settling for. However, we don’t live in an ideal world, the wires can only carry a fixed number of data packets at the same time and worse a lot of senders and receivers share the same wires. As a result, the data packets need to be prioritized. As a result data packets are prioritized (image/video over text for webpages) and senders and receivers are prioritized too (people with a higher bandwidth plan need to pay more). It could be argued that this violation of idealized net neutrality is a pragmatic solution to an infrastructure problem. The real problem lies in discriminating the nature of the data in order to make money. If you consume the same amount of data, whether you consume it for reading a webpage, watching a movie, reading a social networking site, writing a blog post you should pay the same. This is where the major problem lies for telecom operators since there is significant money to be gained by violating net neutrality by discriminating the nature of the data. If you use social networking for communicating with your friends instead of using SMS, the telecom operators lose the SMS money. If you use Skype/Viber for voice communication, the telecom operators lose money they can make on charging phone calls. You could argue that the telecom operators are making more money now since you are still paying data charges. That is correct but then greed gets in the way. Historically, the telecom operators had a leverage by controlling the applications that the telecom infrastructure could be used for. Of late, they have realized the internet infrastructure can be used for applications that they have no control of and hence they have no monopoly of the telecommunication applications and so they cannot make free money from people for just using the applications which the application developers can (youtube, skype …). The telecom regulators want a piece of this money that internet applications make for free in addition to the data charges by discriminating on the nature of the data. And this is where the real problem lies. Is it all black and white then ? A large awareness campaign is underway which is trying to educate the public about the perils of the move the telecom operators are undertaking. While most of the points in the awareness campaign make sense, a subtle point about equality in competition between large and small companies is trying to create a hogwash of the “David versus Goliath” story. The argument goes something like this. The telecom operators by violating net neutrality are going to discriminate between data packets to lets say Amazon and Flipkart (two e-commerce websites). As a result access to one of these websites would be significantly slower than the other owing to the prioritization. In order to gain parity, the company with the slower website must pay the telecom provider the same amount of money as the other provider or the user (i.e., you must pay some money to get the same speed to both the websites). That essentially means that some computers will be put on a high speed link and some on a low speed link and someone has to foot the bill, either you or the website provider. Now the big question is, is this fair ? I am not going to answer this. Instead of answering, think about how is this different between different sized companies competing with each other. Large companies always had a larger money pool to play with. Also consider the fact that just like you pay differently for different MB plans, computers that are sending data packets (servers where websites are housed) pay differently based on the plan they take, more for fatter wires with more data carrying capacity. So, is different speed to different websites unfair ? Is intentional slowing down and/or speeding up of the internet fair ? Things maybe are not completely in black and white here but are shades of grey. Think for yourselves and decide. Take a stand for net neutrality but be careful about your stand. Sign the petition (you need to actually email it) but take the time to read and/or edit the responses before sending it so that you understand what you are really saying instead of blindly supporting someone else’s stand. If you are a computer science enthusiast (undergraduate,postgraduate or in grad school), you might find his writings extremely invaluable. Even if you are not a computer science enthusiast but belong to an academic setting, the articles can be invaluable. It was a cold January morning in 2011. There was snow all around and I was trudging along with the trepidation of soldier treading a minefield. My destination was a hair salon to get a haircut. I looked at the board outside which said “studierabat” meaning student discount. I almost jumped for joy. The normal price for a men’s haircut boldly proclaimed 250 DKK. I went inside, was greeted by a beautiful girl in her mid 20s who went on to give me a great haircut. After the haircut, I paid 200 DKK (20% off as student discount) and that’s when the high prices of Copenhagen haircuts hit home. I had just experienced a hairy culture shock literally speaking. I had been living in Copenhagen for the past 5 months and I thought that I was immune to the price shock that outsiders felt when entering the Danish shops. I had never really factored in the haircut prices. I had chosen one of the cheapest places to get a haircut (after a great deal of internet searches) but I ended up parting with a week’s worth of grocery money. That’s when someone told me about the Copenhagen hair cutting school where it costs 49 DKK for a haircut. The news thrilled me more than any of the groundbreaking discoveries my science books have drilled into me. It was almost like finding a hidden treasure. Sure, the people who cut your hair are students who are supervised by teachers but except on one occasion I have always got a great haircut there. On that one occasion, the hairdresser misunderstood what I wanted and ended up giving me a haircut which I had to bear for the next 2 months. Today I got another fantastic haircut and that too for free because it was my tenth haircut there which is free :-). Wednesday mornings could not be any better. I tried to ask out the beautiful brunette who cut my hair but she said she was married. I guess that was probably asking too much of a Wednesday. Its that time of the year again. I am in India for a short, hectic vacation which provides me ample material to rant about. So, its my due ranting time again. And before any of you classify me as a ranting no-good, let me tell you that I belong to that small group of homo sapiens who believe in bringing out the pile of rubbish swept under the carpet. And of course staying true to my actual abilities, I am not good enough to clean it up but hopefully someone good enough will see it lying around. Now let’s move on. A few days back I was sitting comfortably in a train looking out of the train window on a platform crowded with people. While I was self indulging myself in appreciating (as a pseudo-intellectual) the diversity of the Indian landscape, a few beggars (4 to be exact) came by my window asking for alms. Two of them were old women, one was a child and the fourth one was an old man. They used various forms of begging and used multiple forms of emotional manipulation. However, my usual dogged response mechanism kicked in i.e., it is not possible to pay all the beggars (all or nothing), most of them are impostors, there are organized syndicates behind it etc. The mechanism ensured that I did not pay them a single penny. However, as usual after a few minutes my guilt kicked in for not being empathetic towards needy people. It was all the more overwhelming because of what had happened before the train journey. I had booked 3 flight tickets and then had to cancel all of them because of a mini personal crisis (not mentioned for privacy which is in vogue these days). I had booked the tickets using Indigo and Jet Airways using Makemytrip booking site. When I cancelled the tickets, the cancellation charges were ~50% of the total booking charges amounting close to 5000 INR (quite a fair amount of money by my moderate standards). I am not going into discussions of whether it was fair for making me pay up for not using their service for valid health reasons, or for the airlines to exploit alternative sources of revenues, or for other stuff (lets leave that). If I could afford to lose ~5000 INR, I definitely could afford paying at least 4 INR to the four beggars. Somehow the hypocrisy inherent in me was magnified. I chose conveniently to ignore the ill-doings of a stronger party over a weaker one. If you look around carefully enough, the irony of conveniences in making choices affects us all the time. Maybe its time to pay attention to this irony. Its up to us to make this choice where convenience can again be involved. Before I end my rant, I found the practice of these booking sites of asking for an additional “convenience” fee extremely insulting. Who is the convenience for ? Are there alternative forms of making the same booking (like in the railways) so that you can deem it “convenience”? The word “convenience fee” reeks of glib superiority and a condescending attitude towards the customer. I am not being naively stupid so relabeling it as “online booking” charges would make petty complainants like me happy for the nearer term. Makemytrip was a glaring example although they compensate to some extent by providing a guessing game in the form of redeem vouchers which go by the name of “MMTXXX”. Last Tuesday, the Dean of the Faculty of Science proposed a merger plan to merge the departments of computer science and math into one. The meeting invitation went out to the faculty and the students only a day ago in the midst of a busy teaching bloc. The merger was reported in the University Post. This has sparked a spate of opinions which all seem to point to the utter absurdity of the move especially since it was tried 2.5 years ago and failed, and nothing has changed since then other than the reasons against it. A lot of conspiracy theories are also doing the rounds. Whatever the real reasons behind the merger may be, what is clearly apparent is the fact that the move has not been thought out well by the Dean’s office and has not encapsulated the people it concerns and hence it just remains a tactless, non-visionary (contrary to the claim), damaging exercise just for the sake of it. They would not have had any time to become famous given the volume of stuff they had to speak. They do not have IQ level zero or more realistically even negative. They were mostly rational human beings. They absolutely hated retards championing them. So, it completely befuddles me to see the sort of absurd stupidity being paraded under the cloaks of perceived/established cleverness/wit. At times like this, I want to go back to the stone age where drawing pictures was the only form of communication between humans :-). And with that I end my rant. The department of computer science has been long under the pressure of moving their email systems from diku.dk to di.ku.dk . A couple of weeks ago SCIENCE-IT finally did the migration. So the old postfix email servers were discarded for new shiny Microsoft Exchange solution. As a result I found out last week, that old solution of automatically forwarding / re-directing emails were discontinued on “legal” reasons (which as a user I have no clue of). This means my earlier solution of using another email address mailbox as a backup mailbox to archive incoming emails by forwarding all incoming emails does not work unless I use POP on another server with my passwords (which I would never dream of doing). The old solution was a mind boggling simple and flexible one. What we have currently achieved is to give up the simpler and logical solution for an inflexible and legal solution. All this just begs the question, what is the purpose of the migration ? Make the system easier for users or easier to administrate for admins ignoring the users ? The other week I had gone to the Fotex store in Lyngby storcenter for my grocery trip. I came across a superb offer on Pancake mix. If you buy one you pay 22 kr. but if you buy 2 you only pay 26 kr. Given my love for pancakes buying 2 pancake mixes was just a no-brainer. I bought my stuff and came back home happier than ever. The next day I noticed I had only brought one pancake mix and the other must have got left behind in the shopping bag. I checked my bill to confirm and I saw that I had paid for 1 pancake mix for 22 kr. That was not a happy feeling, but knowing how awesome the people in Fotex are I figured I could go the next day and pick another mix and pay just 4 kr. and be done with it. So I went. I went to the counter and explained the situation the girl at the counter and asked if its ok to pick up another and pay 4 kr. She rolled her eyes as she looked at another girl she was happily chatting with and asked me to explain it again. I did so dutifully taking all the pauses in the world and making sure I left no cryptic PhD talk in it. The girl at the counter again looked at the girl she was chatting with, rolled eyes, and said “No, that’s not possible. Its a new day”. Now that did not seem to make any sense. I did not want to argue with her so I went over to another guy and asked whats the return policy. He told me if you have the bill and return the stuff within 30 days, we would accept it. So, I went to the counter again and politely asked the girl if I could return the pancake mix I bought. She said, “Yes”. I said, “Great, then please take it back”. I also told her that if this is so, isnt it exactly the same thing I suggested earlier ? That I return the stuff get 22 kr. back and then go buy 2 pancake mixes for 26 kr which is the same as paying 4 kr. for the other mix. The girl just made a weird face and said, “Please give the mix and the bill”. That I did, she went to her computer and did some stuff and came back and told me that the mix I was returning was not on the bill. The bar code on the mix did not seem to match with what the computer showed for the mix purchased in the bill. I just stared incredulously. I told her that was the bill and I have not bought any other mixes and the mix must be on the bill as otherwise the machines which detect if you have paid for stuff you are taking out of the store would have beeped when I took it the other day. How am I supposed to know what bar codes get put on the bill or not ? Am I not supposed to trust people on the counter ? Am I supposed to go check bar codes on bill after every purchase ? Her reaction was, “I am sorry” and she walked off. It really felt insulting the way the entire episode panned out. I am not being stingy about the money, I had just gone to correct an honest mistake. Given my past brushes with people in the stores here I was more than certain that the solution would just be eked out in a matter of seconds. It did not matter if I would have got the other mix for 4 kr. if the whole situation was handled with more care and understanding than plain rude, insulting behavior. What actually panned out was an episode of rude nonsensical behavior which has made me a bit wary of what to expect in stores. Maybe I was just lucky so far and this was just a jolt to restore the normalcy of day to day life.